Introducing the latest addition to our Power product range, the Latitude USB Travel Charger – our first wall socket charger, marking another exciting milestone in Flashbay history. Featuring four USB ports, the Latitude allows simultaneous charging of up to four different devices. Also featuring four removal plug types, the Latitude works in nearly every destination around the world including the USA, Canada, the UK, Europe, Australia, New Zealand, Singapore, China and Japan. 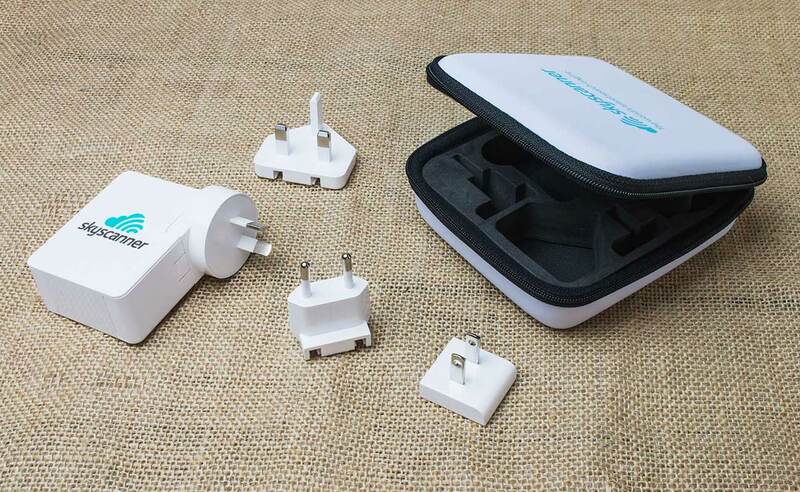 The charger and removable plugs are all presented in a beautiful Travel Case, making it the ultimate travel companion for your Customers and Clients. Furthermore, you can brand two sides of the Latitude and also the top of the Travel Case, offering great exposure for your organisation. If you would like to know more about the Latitude USB Travel Charger, please fill out our Quick Quote Form and a dedicated Account Manager will be in touch as soon as possible.